Perfect for baby, each Baby Gradient set comes with 4 cakes of Baby Hand Dyed yarn, 2 solids and 2 speckles. 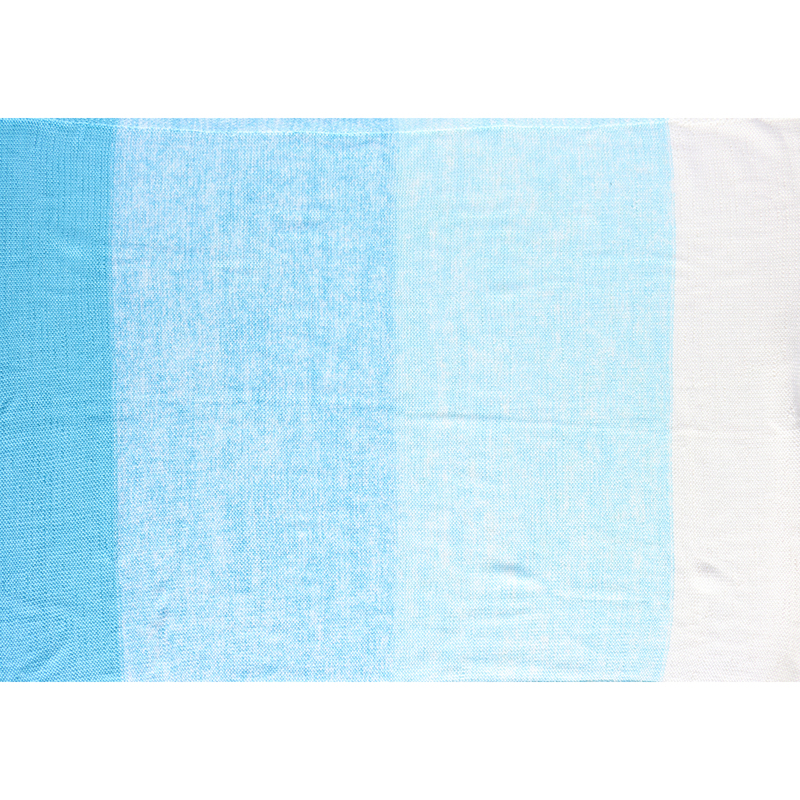 Soft and smooth to the touch, this Cotton and Viscose blend is machine washable, making it easy for new mamas to care for! Each set comes with the pattern for the Baby Gradient Blanket, a 24 x 36 blanket - the ideal size for crib, stroller, or cozying up in mama's arms! Available in a variety of colors, you'll find one that is just right for the new baby in your life! Cascade Ultra Pima Paints Yarn and Berroco Corsica Yarn are both similar yarns: cotton, machine wash, dk (21-24 sts/4 in), and on size 5-6 US needles. 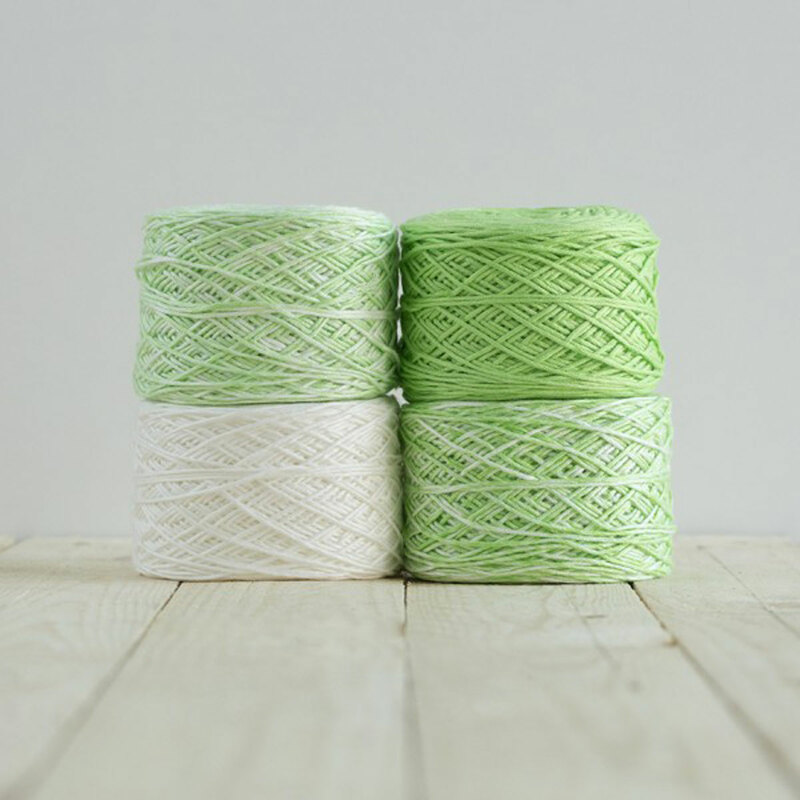 What about yarn that have the same look and feel? Find more yarn with a dense texture, a low (drapey) twist, and is hand dyed. 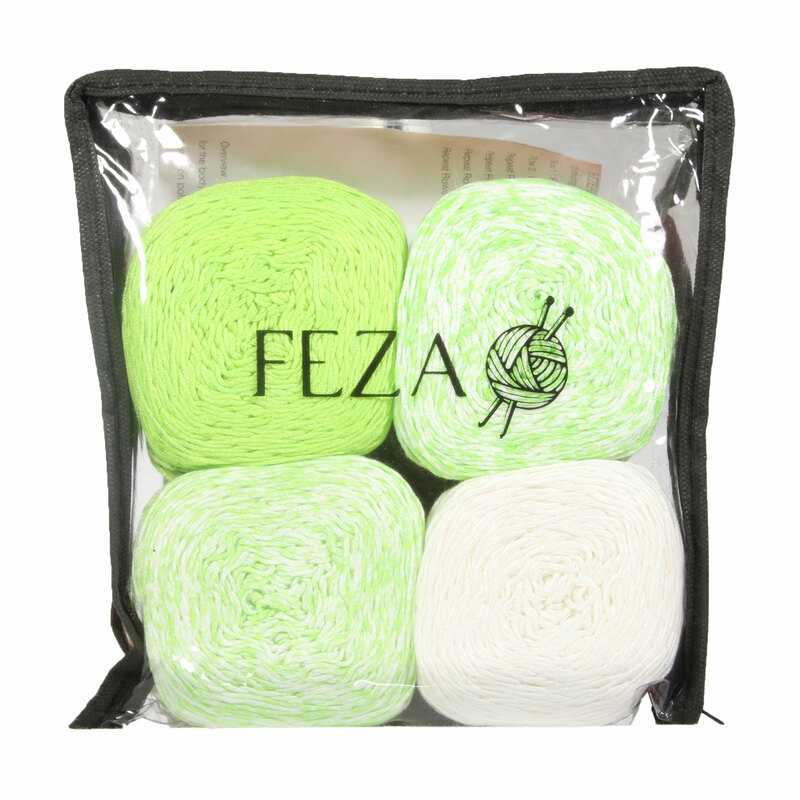 Hopefully our suggested project ideas for Feza Yarns Baby Gradient Yarn can help you come up with your next exciting new project idea!